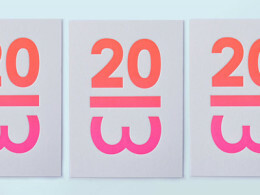 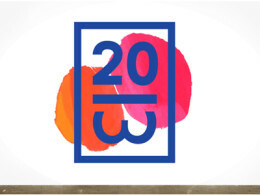 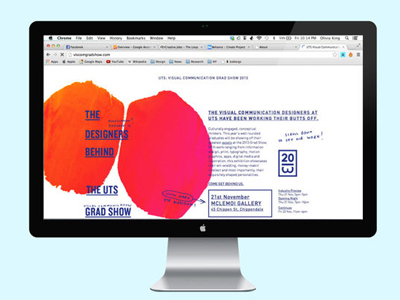 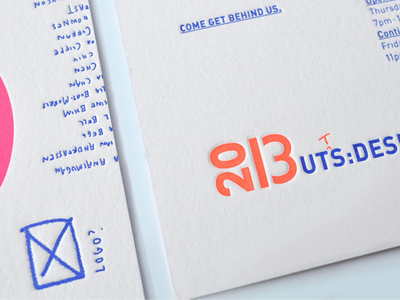 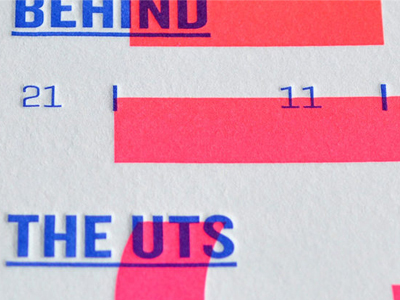 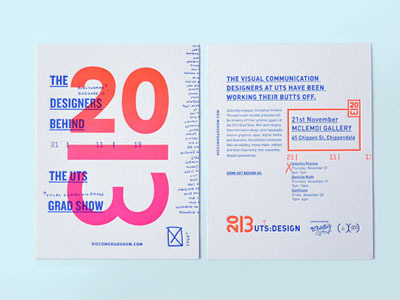 The graduating class of UTS’ (University of Technology Sydney) 2013 Visual Communications Program were responsible for conceptualising and creating the visual identity for their own grad show. 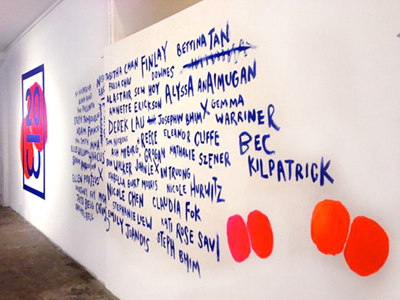 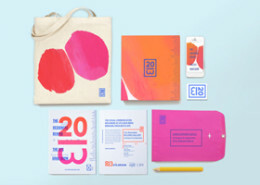 Characterised by a confident colour blotches of pink, orange and blue, the identity was letter-pressed onto invitations, screen printed onto posters and bags, and applied over their book, website and a mural in the exhibition space. The student team included Olivia King and Sebastian Andreassen in creative direction, design and print collateral. Additional design by Nina Harcus and Steph Tsimbourlas.